Crikey! Did you see this? 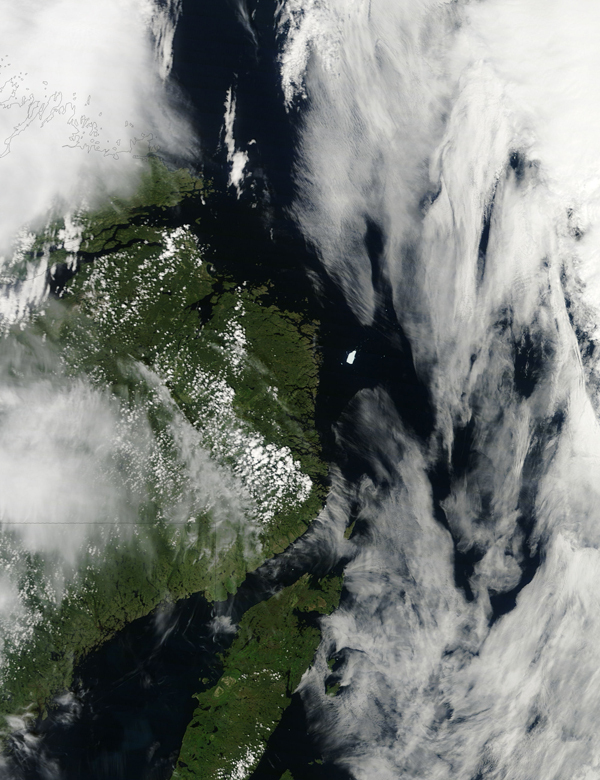 From what I understand, a mondo iceberg four times the size of Manhattan broke into pieces off the coast of Greenland last year, and now nearly a year later they are seeing it appear off the 'iceberg alley' shores of Newfoundland! The top photo is a slice of ice that hit Newfoundland's Goose Cove temporarily blocking the harbor until it broke and melted a bit. That largest iceberg piece? They call it 'Petermann's Ice Island' which NASA has been watching and it has yet to hit the shores. Pretty surreal, huh?! I am continually fascinated by the mighty nature and beauty of icebergs! (See previous post) You can see a video clip for the magnitude of Petermann's Ice Island here. Whoa. That's incredible! It's so beautiful and scary all at once! both beautiful and a little terrifying! Very interesting all the same. Thank You for posting! Congratulations also on being chosen a Blog of Note!! Ahh!! That's crazy, but also so, so cool! Wow! Thanks for passing this on, so awesome. Wow! I can't help but think things like this occur in nature as a reminder of who's in charge. So beautiful and humbling. Woah! Mother nature never ceases to amaze! Whoah! That's very cool. Glaciers are so majestic. OH MY GOD! How'd it feel to actually see it like that? I wish I could see. The picture looks great!! SuperLike. Congrats on being listed into Blogs of Note! A Great blog really. That's amazing. So many would look at that and deny a sense of the problems facing us today. Yet here sits a white beacon of things to come. Perhaps we need to get the message accross? It IS surreal. First time looking at the picture, I thought it was photoshopped. Still cannot believe the sight! I've been reading about the huge icebergs for some time now. The largest one has valleys in it! It's like a floating island. Should we be a bit concerned that there seem to be more floating icebergs? Woah!! nature is truly amazing. Wow I love that ice formation. I saw this on Yahoo News yesterday. I'm blown away! It's breathtakingly beautiful, but I'm sure also scary to see something that large heading your way! Amazing! What a great picture! Great story... I love it, and the pictures make it all the better! thanks a lot of !!! im apprecieated this blog, thanks a lot! Dude, check pls this букмекеры link. To me the first pic is the most impressive one. But somehow, I still prefer the sand and rocks from the warms tropics, where I live. and really it just looks like a big piece of photoshopped foam! Amazing! It would look really cool if the Iceberg was sculpted into something. This blog is very good and deserve to be ranked blogs of note. What is it like your blog was selected as a blog of note? Of course you are very happy. Wow how do you get a very interesting photo's? Enjoyed the story. Thanks for sharing. Im in awe! Love it! Those pictures are amazing! Thank goodness the Titanic is no where to be seen! Keep up the awesome blog! I find nature and everything to do with nature interesting, this is beautiful! The world is changing. Wow(like worried wow)! One could easily assume this picture has been photoshopped to propogate the expansion of the slumbering sovjet union, look at those bright big roses in the middle of the picture forming a great star marking the rebirth of this evil nation. Surely putin has a way in this. Wow! That's unreal! Wish I could see it in person! Very cool to see you post about Newfoundland. *hi* from Newfoundland, Canada. We love our icebergs!! 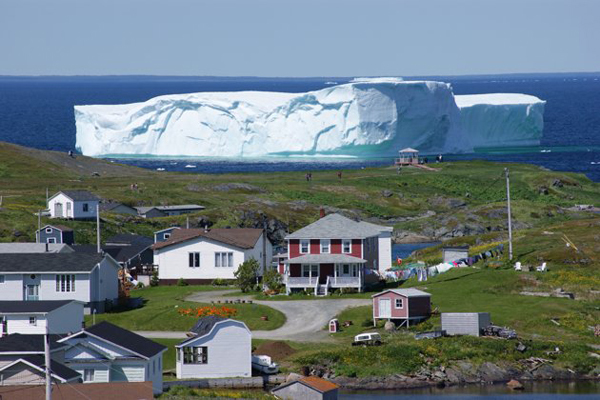 So wonderful to see soooo large iceberg just along the coast!!! Awesome Icebergs pictures. I think it's not a attack on it.